New edition of Chippy News out today! The September edition of Chippy News is out today. This month, read about how the roadworks that closed the high street – but not the town! – were carried out in August, and how they finished early. There is also the usual coverage of other local news, arts, clubs, sports and schools news, features and interviews. All this for a bargain 50p. Your Autumnal issue of Chippy News is available at lots of outlets across towns, so go and buy your copy now! 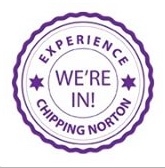 This entry was posted in news and tagged Chipping Norton News, Chippy News, new edition, out now, published. Bookmark the permalink.